Cheapskates who opted for the free version of the Adobe software will be patting themselves on the back. Adobe have revealed that hackers have managed to access confidential records including customers' credit and debit card details. Brad Arkin, Adobe's chief security officer, described the attack as "sophisticated". "Our investigation currently indicates that the attackers accessed Adobe customer IDs and encrypted passwords on our systems," he said. 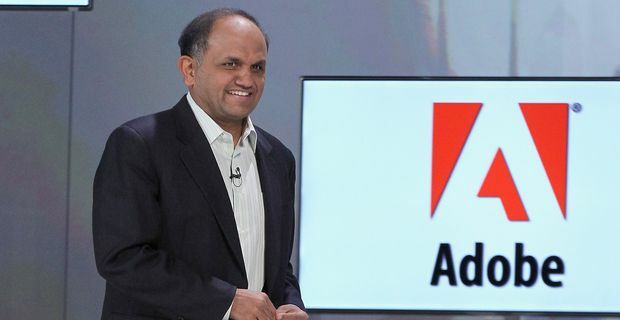 "We also believe the attackers removed from our systems certain information relating to 2.9 million Adobe customers, including customer names, encrypted credit or debit card numbers, expiration dates, and other information relating to customer orders." Although the credit card details are encrypted, the breach of security could have repercussions for Adobe customers. The company has reset the passwords on customers' accounts and has advised them to change their details on any other website where they used the same passwords. This latest breach of security at a major software company will merely fuel the sense that personal details stored in databases have become increasingly vulnerable, especially with companies using cloud-based systems to save money. There are suggestions that the NSA surveillance operations and hacking of personal data on social media and other sites has made these databases more exposed. Adobe at least went public about the security breach. One secure communications company claims that other major corporations are remaining silent about hacking. Mike Janke of Silent Circle told the Guardian that "Customers of ours disclose that they’re being breached, weekly, and they don’t disclose it to shareholders." Breaches of security can affect the share price of companies and damage public confidence. "I sat and spoke with the chief information officer of a Fortune 500 company, and he’s telling me that they’re not reporting 80% of their data breaches," Janke said. "I’m going, 'there’s a law against that'."